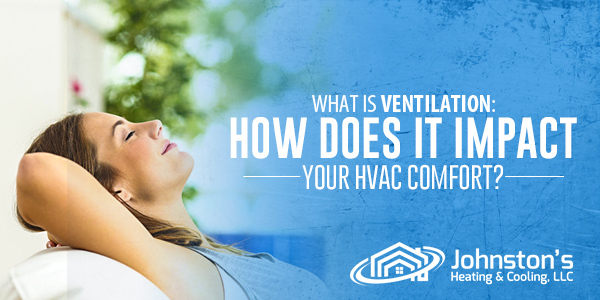 Home » Blog » What is Ventilation: How Does it Impact Your HVAC Comfort? When you remove ‘V’ in HVAC, your home’s comfort can be at risk. Your heating and cooling system will not work efficiently without proper ventilation. Either a furnace or an air conditioner depends on the building’s ventilation to operate at its best. By reading through this post, we will help you understand ventilation and its impact on your home’s overall comfort. Ventilation is a mechanical or natural process where outdoor air is provided to a given space to replace the indoor air (stale air). Your home should be well ventilated to regulate temperature and prevent unpleasant odors and humidity problems. Proper ventilation is one of the keys to keep a 100% comfy and relaxing abode. Natural ventilation uses louvers, trickle vents or windows to allow air flow. Unfortunately, this is not ideal for some region as it may trigger humidity issues. But some homeowners opt to use natural ventilation alongside their A/C unit as a backup to control humidity. You are familiar with ceiling fans, aren’t you? Well, ceiling fans are only one of the many types of mechanical ventilation available. Mechanical ventilation comprises an exhaust, supply, heat and energy recovery to eliminate and replace air from the inside. Other than these two types of ventilation, there are still lots of alternatives to improve your home’s comfort and efficiency. To get the most out of your heating and cooling system, you should find the right type of ventilation for your home. Choose the type that works wonders to your HVAC system based on your climate, space, and usage. Getting the wrong system welcomes the dangers caused by moisture and mold buildup that can damage not only your system but your home as well. Ask for help from professionals to choose the right one. Thinking of smart ways to keep a well-ventilated home in Shippensburg, PA? Below are effective tips from the experts. Identify areas in the house where water could enter such as the basement, door, windows, and showers. Make sure to seal them properly. Seal and insulate gaps to prevent air from getting in non-conditioned areas including the basement, attic, wall and crawl space. Keep the doors and windows open during and after showering, cooking and other moisture-producing indoor activities. Invest in a dehumidifier if you are having trouble controlling moisture at home. Is ventilation your home’s concern? Contact us at Johnston’s Heating and Cooling. Call us today for expert solutions for your ventilation needs. Why Is My Thermostat Not Working?